Across the Salt • View topic - The Empress' story - may she live forever! The Empress' story - may she live forever! Post subject: Re: The Empress' story - may she live forever! I don't really know that you can read too much into it. And the idea that Boomer risked destroying a Colony just for a cover story so she could be the most helpful sleeper agent in history right up until she shot Adama just seems too stupid for words. I prepare myself for a big mess, for sure. I'm still wondering why Boomer was apparently the one and only sleeper agent. Maybe there were others? Maybe all will be explained? Boomie is ze Empress and she will come back and kick RDM & gang in ze a$$! 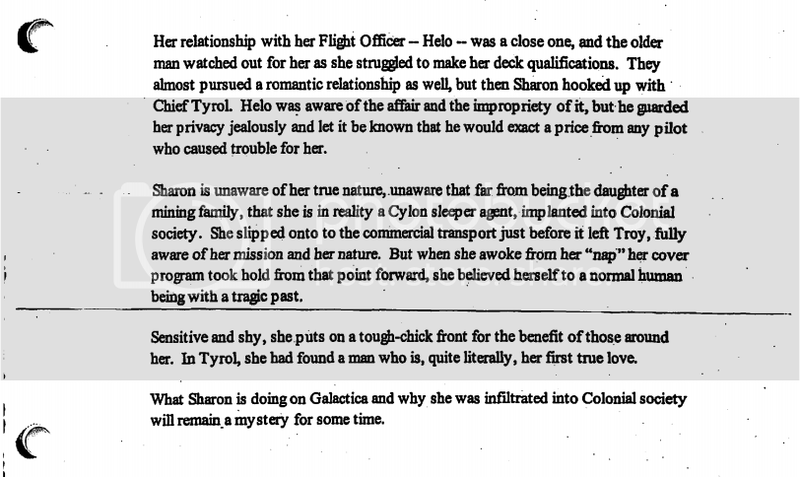 Well, Shelly Godfrey has never been adequately explained, and Aaron Doral appeared to not know he was a Cylon at first. There may have been other unaware Cylons in the Fleet. One does question why Boomer was on Galactica in the first place- was an old, about to be decommissioned Battlestar a major tactical asset, or did ALL the Battlestars have sleeper Cylons aboard, just in case? Removed it because I got some weird errors. The Cylons don't actually have a Bible. They do, however, have a Plan for one. Should work out well, don't you think? 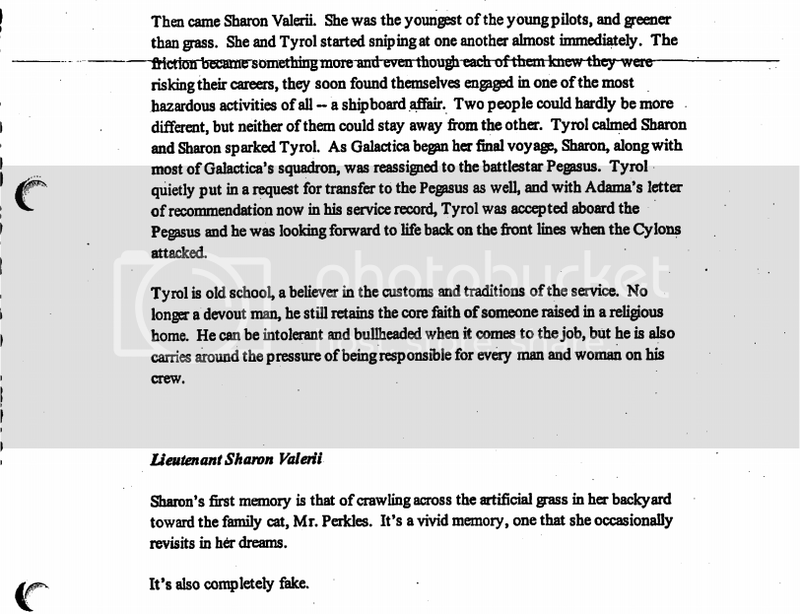 Well, that's (supposedly) the series bible...but didn't the Cylon Bible...or at least parts of it...leak also? I thought the Cylon Bible was produced in very limited quantity- that Lucy Lawless had to ask for one? Yeah, and Matthew Bennett, C.K.Rennie & Rick Worthy as well. I guess Grace and Tricia were the only ones to get a copy originally. Yes: remember one of the videoblogs? Grace: "I've a copy of the Cylon Bible. I could put it on EBay, ha ha..."
However, if I may be so bold, I think "Sometimes a Stupid Notion" has finally answered that.